Your backyard, deck, and patio should feel like a little piece of heaven in spring and summer, perfect for relaxing and entertaining. 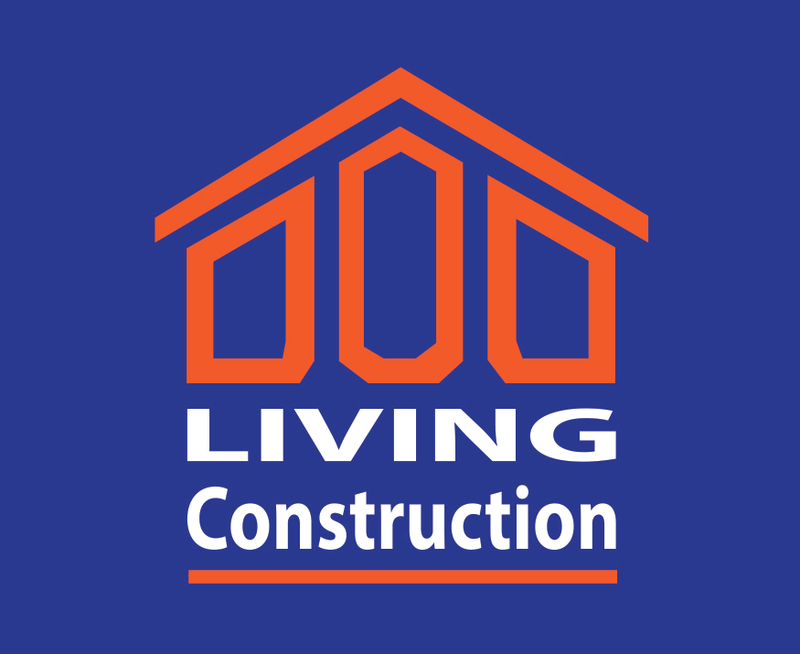 Let Living Construction offer you their expertise in design and construction by providing you with fences, decks, interlock stone, and landscaping that are sure to inspire. Landscaping is an art and there is much to take into consideration when creating your masterpiece. Want a beautiful, private haven that allows you to relax and commune with nature? Get your imaginary paint brush ready and keep in mind these key principals that will help you create a pleasing picture. When beginning landscape design it is best to start with a focal point. The focal point, just as in a work of art, is the point within your masterpiece that draws the eye. You must choose a focal point that will attract the attention of the person looking out upon your lawn. The size of your lawn will determine how many focal points there are (anywhere from one to four). Focal points may be something natural as in trees, large rocks, and bushes -or- they may be man-made as in waterfalls, statues, benches, and bird baths. Once you have your focal point, you may then build your land scape design around it. Contrast is used to create a focal point. It is this sense of contrast that draws the eye. This may be achieved through color, shape, size, or texture. Oftentimes it is the contrast of a manmade object amongst natural objects that may create a focal point. Color is a very important topic of consideration in landscape design. In order to create a complex, layered aesthetic design one must include a variety of changes in hue and color within your selection of plants. Be sure to take into consideration the changes that occur to the plant throughout the year. Landscape design concerns itself with monochromatic colors and complementary colors. Monochromatic colors are those that involve shades of one color, most obviously green. Complementary colors involve color opposites as in green with red, pink, or burgundy. A general rule is that lighter colors should be used more than those that are dark. It is not just within the focal point that the use of contrast is required. In order to create an aesthetic sense of interest within your lawn as a whole, one must have different textures that are strikingly different from each other, in a pleasing manner of course. To achieve this, plants should be grouped in a certain way based on their size, shape, coarseness, smoothness, and weight (light versus heavy). Seek balance, symmetry, or evoke diversity in plant textures to create landscape design. As a general rule, one should use more plants with smooth, light textures than those of coarse, heavier textures. Scale and proportion within your landscape design is paramount. Large objects may overwhelm small lawns while small objects may seem cluttered on a large piece of land. Consider this, a large fountain or waterfall would look ridiculous on a small piece of land. Small rocks or small statues on a large piece of land would distract from the otherwise cohesive look of your lawn and may even seem messy. Once you have taken measurements (height, width, and depth) into consideration don’t be afraid to be daring. Having objects that are all the same size becomes boring and show a lack of imagination. Use your artists eye. Unify aspects of your lawn by creating repetition throughout – a recurring object (type of tree, bush, flower, color) and theme (English rose garden, Japanese Garden, Grecian Ruins, Rugged Wilderness). Don’t use repetition to the point it becomes monotonous, however. You must tap into your sense of artistry to create your masterpiece. Try to be subtle. For instance, a Grecian statute placed with one cluster, another Grecian statute placed away from that cluster, around the corner by a tree or waterfall perhaps. Rhythm allows the onlooker to feel connected to the land. Rhythm makes sense to the onlooker and pleases the eye. Lead the eye in the direction you want it to go by using gradual variations in color, texture, size, and shape. Grouping is a principle in landscaping that says the person viewing your lawn will find placing plants, flowers, and other landscaping objects in clusters will be visually pleasing. As opposed to spacing everything out over the entire piece of land. Clusters of plants and other objects give a sense of completeness and cohesiveness. When creating a cluster, just as discussed earlier, one must begin with a focal point and build around it. ­A small tree may be a good focal point or a large rock. Surround that tree or rock with plants that will compliment the focal point. Experts say one should group clusters in odd numbers. Take into consideration color and texture. Also remember that nature does not typically place plants and flowers in geometric patterns. One should not place plants and other specimens in rigid order. It wouldn’t be pleasing to the eye. Be sure to create a natural sprinkling or spacing of plants and flowers with turns and curves. Pictures say a thousand words. Whether your lawn is small or large take a look at magazines or sites like houzz or pinterest. Then meditate on your piece of land and visualize what you believe would be perfect and beautiful. And remember that your lawn should be a place where you may relax and enjoy your own little piece of nature. Call or email us for a free consultation – Tomer Amir 416-824-4426 or Tal Amir 647-885-4112, tomerlivingconstruction@gmail.com. We look forward to hearing from you.